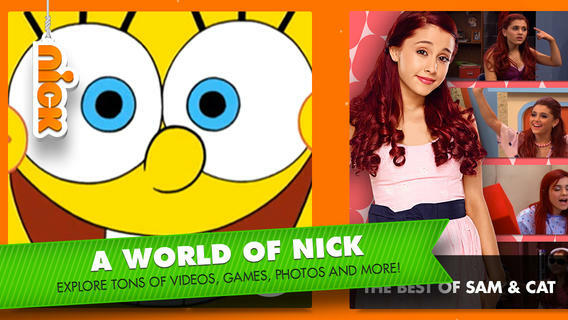 The Emmy® award winning Nick app puts the best of Nickelodeon at your fingertips… hilarious original videos, animated shorts, games, recent episodes, polls and more! So have fun, play around, and prepare to laugh until you snarf milk from your nose. ● FUN OVERLOAD: Swipe to explore, zoom in and out, and let your fingers point the way to fun. 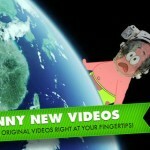 ● LAUGH-OUT-LOUD ORIGINAL VIDEOS: Hungry for funny? 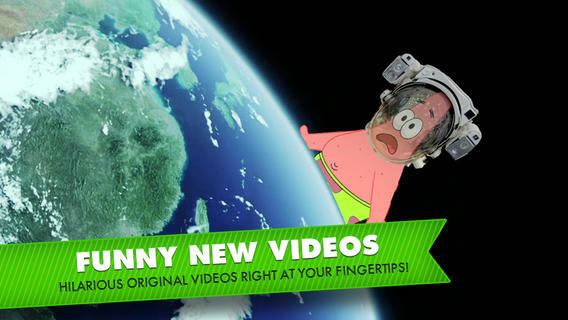 Get ready for tons of brand new wild and wacky videos featuring your favorite Nick characters and stars! Videos are updated every day. 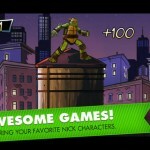 ● GAMES: Whether you’re replaying your favorite Nick games, or checking out all new games, prepare to be entertained for hours. Play on! ● ANIMATED SHORTS: Watch all-new animated shorts featuring SpongeBob, Teenage Mutant Ninja Turtles, Sanjay & Craig and even some characters you’ve never seen before! ● FULL EPISODES: Missed the latest episode? 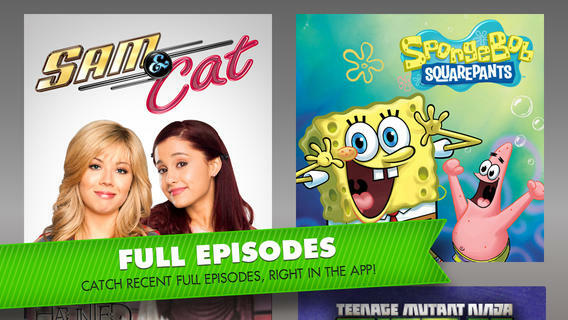 Now, you can get recent episodes of Nick shows by logging in with your TV provider. ● POLLS: Would you rather have Patrick’s brains or Squidward’s mood? Take these fast and funny polls and cast your vote. 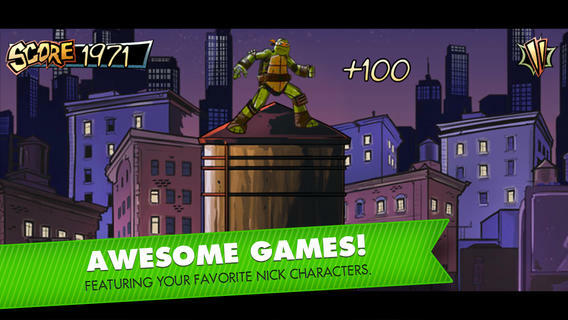 See how your pick measures up to other Nick app kids! 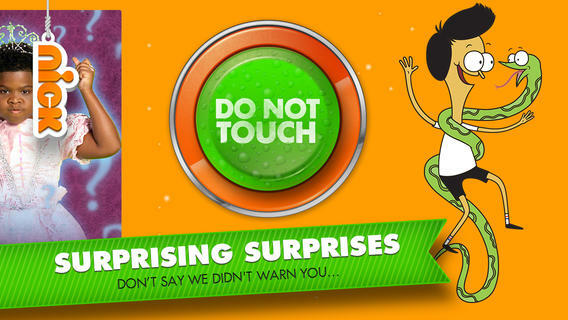 ● SURPRISING SURPRISES: Keep exploring every day to discover new, hilarious surprises from Nick. Just look out for SLIME! ● DIRECT ACCESS: If you know exactly what you want to watch, pull the Nick string on the upper left and switch over to the main menu where you can access characters or categories. Download now – let’s get APPIN’ already! This app only works with iOS devices running iOS 6.0 and above. This includes iPad 2 or later, iPhone 4 or later, and iPod touch (5th generation). Be sure to update your device to the latest operating system. 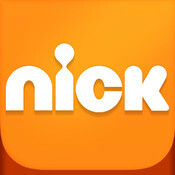 The Nick app collects personal user data as well as non-personal user data (including aggregated data). 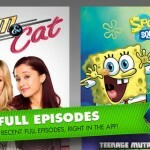 As needed, Nickelodeon and/or a third party may generate an identifier that is unique to the application as downloaded to a specific device, known as the Core Foundation Universally Unique Identifier (CFUUID). User data collection is in accordance with applicable law, such as COPPA. 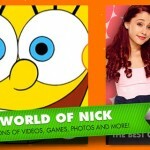 User data may be used, for example, to respond to user requests; enable users to take advantage of certain features and services; personalize content and advertising; and manage and improve Nickelodeon’s services. When cable television service subscribers authenticate their cable television service to view full episodes, a third-party token is stored on the device. The Emmy® award winning Nick app is bringing you the funny, faster. Check out what’s new! -Plus, we got rid of some pesky bugs and made things easier. Attention: Upgrade your iOS for more updates! Updates are only available for iOS 6 and above.